TortoiseForum.org - Great pictures of some redfoot tortoises enjoying a feast of watermelon. 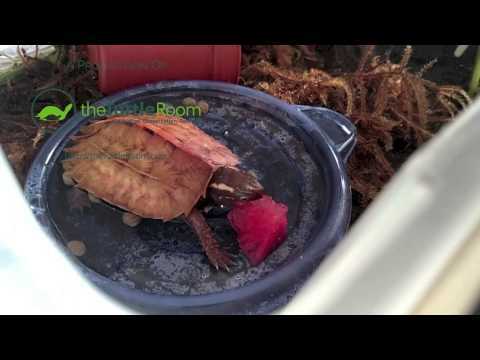 Tortoise Board - Some fun pictures of two lovely redfoot tortoises enjoying some yummy fruit. TortoiseForum.org - An adorable series of photos in which a large rind of watermelon vanishes before your eyes! TortoiseForum.org - An adorable series of pictures showing a handsome young tortoise greatly enjoying a feast of bell peppers. TortoiseForum.org - Enjoy these fun pics from the Tortoise Cove featuring a herd of colorful baby redfoot tortoises enjoying a group breakfast.